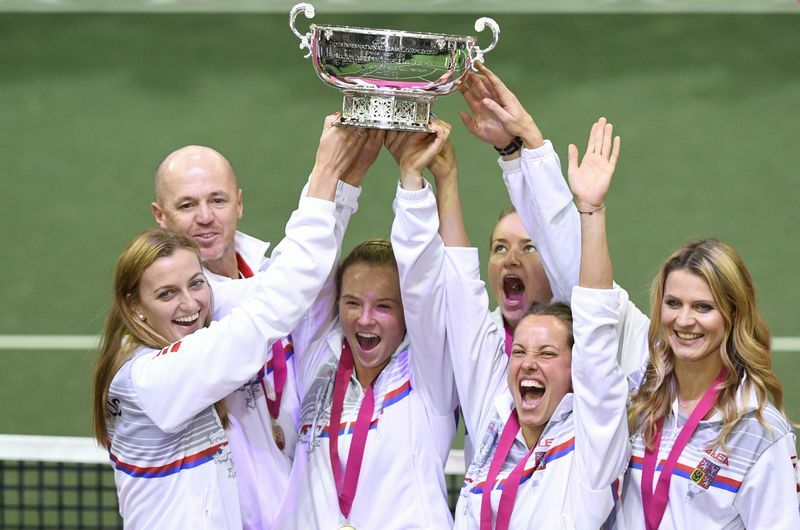 Photo: ČTK/Šulová Kateřina The Czech Republic won tennis’s Fed Cup for the sixth time in eight years – and the 11th time in total – with victory over the US at the weekend. 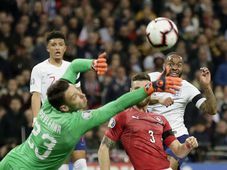 The Czechs won the first three matches to open up an unassailable lead over the defending champions in the best-of-five encounter, which took place in front of 14,500 fans at Prague’s O2 Arena. Photo: ČTK/Šulová Kateřina What’s more, the Czech Republic were without their two biggest names, Petra Kvitová, who was ill, and Karolína Plíšková, who was injured. In their absence, the team was powered to victory by 22-year-old Kateřina Siniaková. 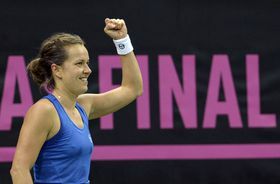 The world number 31 (the highest ranked player in action) beat Alison Riske on Saturday after teammate Barbora Strýcová had given the hosts the lead with victory over Sofia Kenin in the opening rubber. Then on Sunday Siniaková had to pull out all the stops in her match with Kenin. 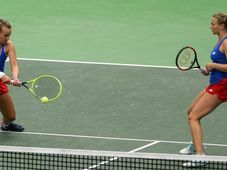 The Czech saved two match points in a hard-fought encounter lasting almost three and a half hours to beat the American 7-5 5-7 7-5 and give the Czechs the title. Afterwards, the star of the weekend admitted to nerves when she wasted a 3-0 lead in the second set. Siniaková has achieved great success in the doubles this year, winning two Grand Slam titles with Barbora Krejčíková. But she says her Fed Cup achievement was beyond her imagination. Barbora Strýcová, photo: ČTK/Šulová Kateřina Barbora Strýcová won’t be part of any future successes for the Czech women’s team. 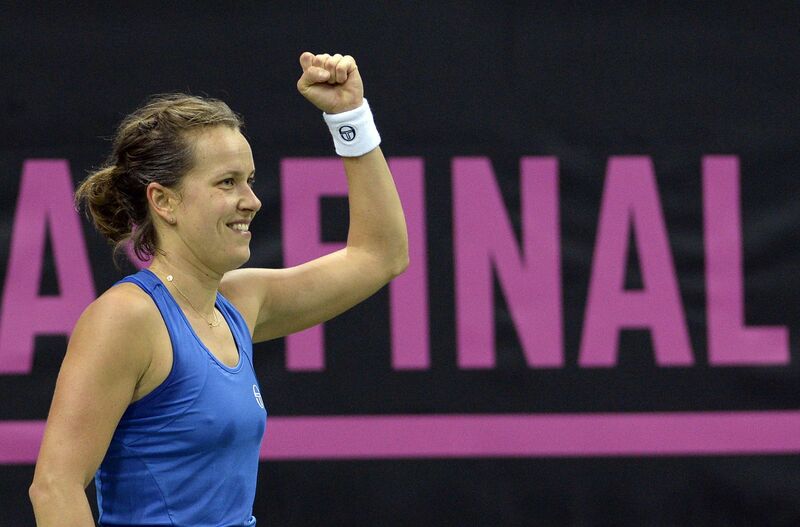 The 32-year-old, who now has five Fed Cup titles to her name, is retiring from international tennis. Incidentally Lucie Šafářová, also a five-time Fed Cup winner, has announced her complete retirement after January’s Australian Open. The 31-year-old has been beset by injury problems.